It is a pleasure to announce that Erin Dung is the winner of the 2018 Jo White Scholarship Award! 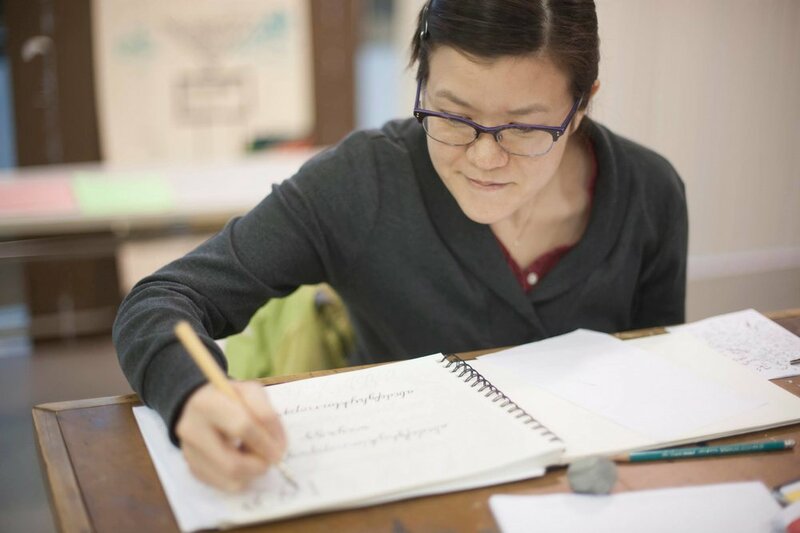 Erin joined the Colleagues of Calligraphy in 2015 but her interest in lettering goes back nearly 20 years when she took her first class at the University of Portland. Upon moving to Minnesota in 2004, “real life” took hold for a few years but in 2014 she took a class from CoC member (and current Board Secretary) Judith Michalski, and her intrigue with letters was re-ignited. Since then, she has become a familiar figure at Colleagues' events. She has attended many CoC workshops and recently gave a presentation at a CoC meeting on her Spencerian class experience with Michael Sull. Over the five days of the conference, Erin will attend 5 or more sessions on topics that might range from Beginning Copperplate to Signature Design! She said that this experience will allow her to have the time away from her work at a software company to focus on the study of pointed pen lettering. She is looking forward to working with master penmen and experienced instructors from all over the U.S. Erin also expressed her desire to share what she will learn! The Colleagues of Calligraphy Board of Directors thanks the Scholarship committee for its consideration and deliberations. And we enthusiastically congratulate Erin and wish her well in the coming year of calligraphic study. It is a pleasure to announce that Brenna Jordan is the winner of the 2017 Jo White Scholarship Award! Brenna joined the Colleagues of Calligraphy in 2014 and regards her membership as an invaluable part of her calligraphy development. 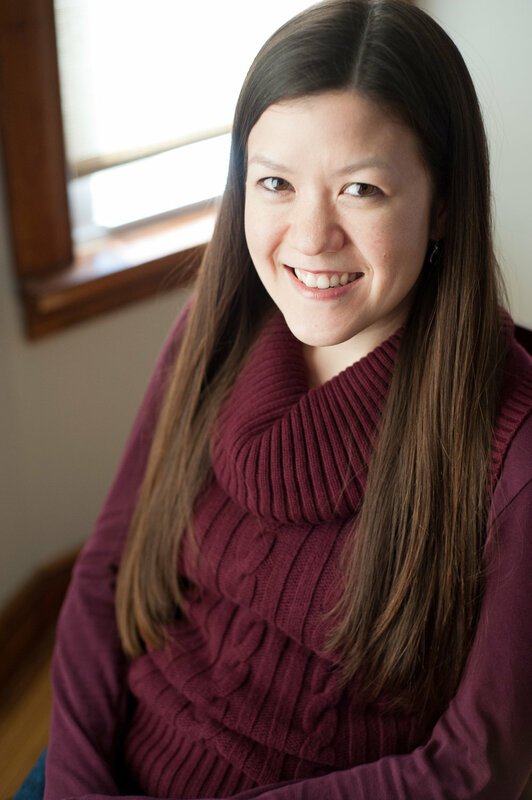 She has attended many CoC workshops as well as the Midwest Art and Lettering Retreat, and has frequently volunteered to write reviews of these events. Brenna has been lettering for over 25 years and has her own business (https://calligraphybybrenna. com) in Duluth, where she lives with her husband and three children. Brenna requested funding for in-depth calligraphic instruction from the renowned Tim Botts of Glen Ellyn, Illinois. She plans to have both face to face instruction with Tim as well as correspondence and online learning sessions. In her application, Brenna stated that she would like to learn how to design pieces that incorporate not only attractive design, technique and use of color, but also how to use the art of calligraphy to convey meaning and depth of language. She added that Botts’ extensive training in brush calligraphy, different tools, and papers (while he was living in Japan) will provide additional learning opportunities. Upon her completion of study, she will give a presentation on the experience and show the work she created. The Colleagues of Calligraphy Board of Directors thanks the scholarship committee for its careful consideration in selecting our 2017 recipient. We heartily congratulate Brenna and wish her well in the coming year of calligraphic study!